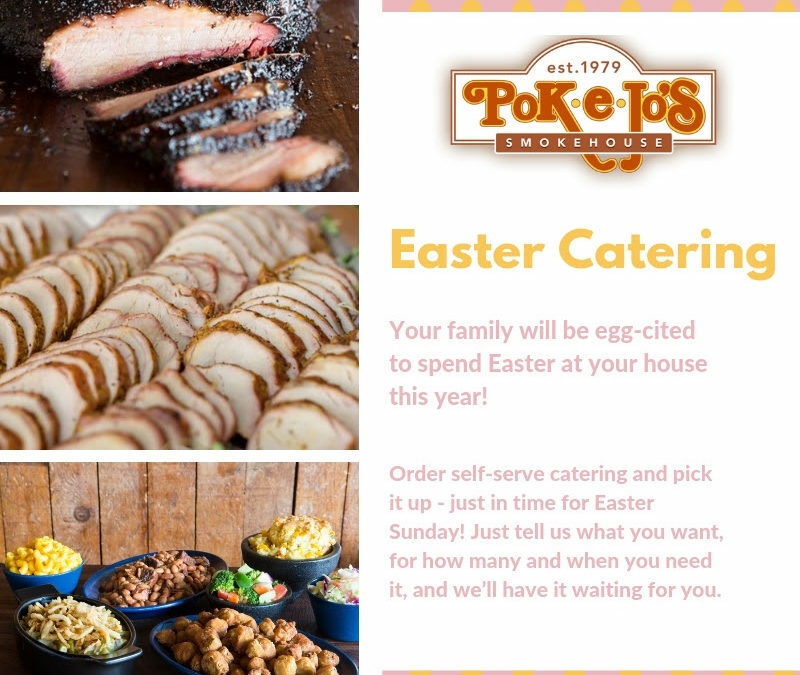 The whole family will be egg-cited when you cater your Easter feast with Pok-e-jos! Order self-serve catering and pick it up – just in time for Easter! You tell them what you want and for how many and when you need to pick it up and they will have it waiting for you. Delicious and convenient!